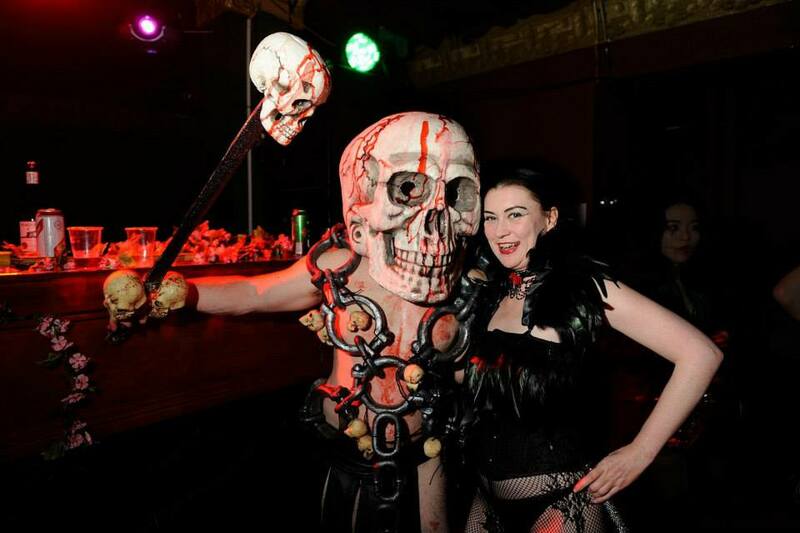 When my good friend, who is a house photographers at TG, offered me a guest list place for their Halloween extravaganza, I thought it would be churlish to decline. I was also intrigued to see what, if anything, had changed at the club, as I hadn’t been for a good three years. My main conclusion was that I had changed and that the club had remained much the same. Not to give the game away regarding my age, which must, of course remain, a closely guarded secret. I was forced to conclude that I had reached a stage in life where my tolerance of inebriated youths shuffling up to me on the dance floor, insanely loud music and people jams in corridors was on the decline. Having said that I enjoyed the fantastic performances from Maria Carnesky’s Tarot Card performers, had a wonderful time dancing my socks off in the cabaret music room and met some extremely intriguing characters as you can see below!! This entry was posted in Mistress about Town, Uncategorized on November 13, 2013 by Miss Myers.